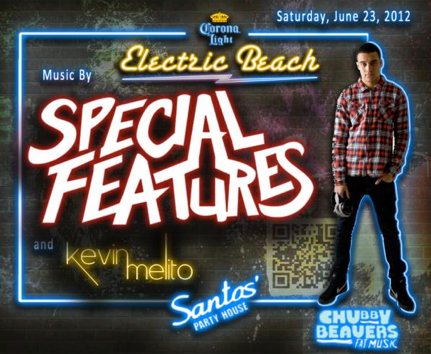 This Saturday, June 23rd, Santos Electric Beach in New York welcomes Special Features for his debut performance in the city. Special Features, aka Eden Anderson, is a 21-year-old producer from London, currently studying music production at Leeds College [of music]. He is part of a new generation of young innovative producers that are able to create music in their dorm room and place it on an international stage for the world to hear. His sound is both original and recognizable having melodic and powerful builds with new-school electro drops. It's representational of a new era of producers who are able to invent a new sound and quickly become recognised by it. 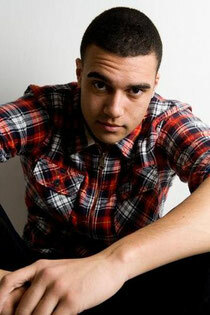 In the last year alone he has impacted the scene in a dramatic way by releasing a number of remixes that received attention of many of the top dance blogs. He recently released a collaboration with Michael Brun titled ‘Synergy’ on Dirty South's Phazing Label, which received top support from many of the world’s biggest DJs. Santos Party House is known as one of downtown New York’s most favoured venues with a sound system and a light show incomparable to most other clubs in the city. For tickets, click HERE.